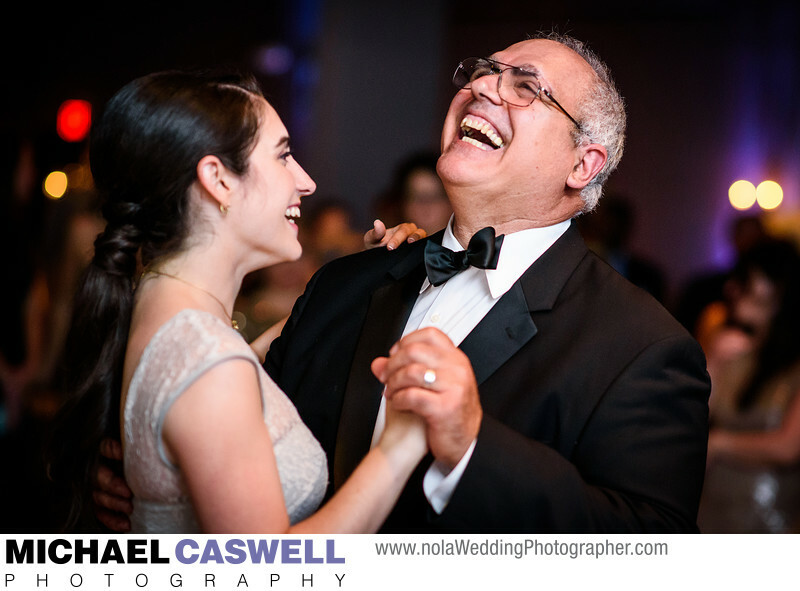 The father-daughter dance, with this one taking place at Bourbon Vieux in the French Quarter, is one of those special moments that is always a pleasure to photograph during a wedding reception, and I love knowing that these particular images will be especially treasured by the families I work with. This couple's wedding ceremony had taken place in the New Orleans Pharmacy Museum's beautiful courtyard, and then the whole group second lined over to Bourbon Vieux for the reception. Located in the heart of the French Quarter, this venue is right in the middle of the action. It's a fairly large reception space that can accommodate as many as 250 guests, and features a large corner balcony which, as the venue's name implies, overlooks world-famous Bourbon Street. New Orleans has so many awesome event venues to choose from, it's nearly impossible to not be able to find something that suits your personality and your logistical needs. Location: 501 Bourbon St, New Orleans, LA 70130.